For many people, public speaking can be a daunting, difficult experience. By learning and applying the practice of Relational Presence – being with one person at a time in an audience – you can relax, feel comfortable and connect with others in a very natural, spontaneous way. Whether you simply want to express yourself better or alleviate public speaking anxiety, in this experiential workshop you’ll learn to improve your speaking skills and build your confidence. To register for this workshop, go to www.TheSpeakersStudio.com/Circles, scroll down the page and click the button “Register Now Apr 13.” You can also email Eric@TheSpeakersStudio.com or call 770.365.7447 to reserve your spot. Note: Space is limited to 16 participants, so pre-registration is required. Eric Atwood is a speech and presentation coach, corporate trainer, certified Speaking Circles® facilitator, and founder of The Speakers Studio, helping people improve their one-on-one communication and public speaking skills. With more than 20 years of experience in his field, Eric guides people to express themselves effectively in any setting. For more information about this workshop, email Eric at Eric@TheSpeakersStudio.com or call him at 770.365.7447. Have you ever wanted to be able to speak well, be yourself and feel comfortable and confident speaking in front of a group? Then Speaking Circles is the place for you. • Speaking Circles are small, supportive groups (6-10 people) where each person speaks briefly in front of others using the practice of Relational Presence. • The practice of Relational Presence means “being with” people as you speak, creating a stronger connection with others in conversations and group settings. • Many people go to Speaking Circles to help them overcome the fear of public speaking (the #1 human fear) and to be more confident and comfortable speaking in groups. • The goal of Speaking Circles is to help people develop the capacity to be fully present and authentic speaking in groups and one-on-one conversations. • In Speaking Circles you’ll learn how to speak from your heart, be yourself in your interactions, listen more effectively, give/receive verbal and nonverbal appreciation, and truly connect with others. Each speaking circle is limited to 10 – 12 people, so registration is required to ensure your spot. Sessions last 2 1/2 hours. The cost is $30 or $75 for three sessions paid in advance. Part performance, sonic immersion and hands-on rhythm making, this evening experience invites your inner creative child to come out and play! Enjoy the ethic sounds & rhythms of the world, bath in the healing vibrations of gongs and singing bowls and explore your own rhythmic creativity with others. Admission: $20 in advance or $25 at the door. Take a break from the day to day, Awaken your true nature, align with water, air, fire, earth, sunshine, and moonbeams. A space for renewal, music, play, singing, dancing & contemplation. Choose to spend the day, stay the night, or stay the weekend for the full retreat experience. Whether you choose tent camping by the lake or a stay in a beautiful cabin, we’ve got you covered. Check out the options by clicking here. Find yourself deeply immersed and inspired by empowering presenters and loving people in the beautiful Gulf State Park on Lake Shelby. Awakened Life Yoga Festival is a unique and special gathering. This 3-day event features many offerings including power to peaceful yoga asana, meditation, kirtans, camping, fireside healing circles and more. This event is sold out. Contact Tracey to get on the waitlist for our next retreat. Whether you are currently on an inward journey, wanting to take time to reflect, seeking spiritual expansion and growth, or simply wishing to engage in meaningful discussions about real life issues that matter along with other women in a safe, non-judgmental setting, “Almost Heaven” retreat could be for you! 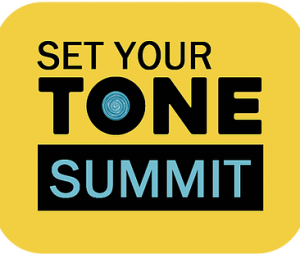 Join us for the “Set Your Tone Summit” click below for details. A one-day transformative event with energetic speakers, live music, guided meditations, and interactive sessions unlike anything else you’ve experienced! Learn how to tune yourself to lead with confidence, clarity, and purpose in your life. Join the Remember Your Truth family for a night of Health & Wellness on the first Thursday of every month from 6:00 PM to 9:00 PM. We will be featuring 6 different holistic practitioners each month including and not limited to healings, intuitive readings, acupuncture, massage, chiropractic, energy medicine and much more. For a complete list of practitioners visit our website. This is a good way to get out and see what services are available in your community. There is a $25.00 cover charge at the door which includes a free gift. Practitioners will be offering individual services for a $20.00 introductory price. To visit page click on the link below.